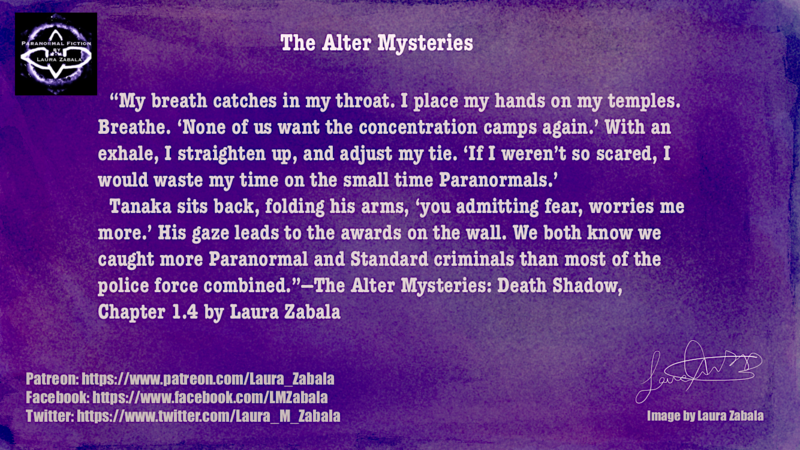 Chapter 2.1 of, The Alter Mysteries: Death Shadow, is up today for free at patreon.com/Laura_Zabala. Zara’s mug with the phrase, “Karma is a stern mistress,” can be purchased here. Please share and comment to show The Alter Mysteries some love. Thank you for reading! “Life is short, and so is our fiction.” The staff at Cease, Cows publishes rare flash fiction and prose poetry and looks for strange literary, magical realism, speculative, slipstream, utopian and dystopian, bizarro, apocalyptic/post-apocalyptic, and just plain weird fiction.